Fixed-Rate Bonds are NOT redeemable prior to maturity, except in the event of death of the Beneficial Owner. Prior to maturity, VARIABLE-RATE BONDS CAN BE REDEEMED ANNUALLY ONLY ON JUNE 21 UNTIL THEIR RESPECTIVE MATURITY DATE. Step-Up Bonds will be redeemable, at the option of the registered holder, on JUNE 21 or DECEMBER 21 (each a “Redemption Date”) for their full redemption value. Sales Agents are Redemption Agents for the Bonds. For all series the deadline for presenting the Bonds will be at close of business hours on the 14th calendar day following the Redemption Date. In the event that this is not a Business Day, the deadline for presenting the Bonds will be at the close of business on the following Business Day. To redeem a Bond, the Bondholder, or an authorized representative, must present and surrender the Bond to a Redemption Agent where the Registered Holder has an account, on or before the Redemption Date, or within 14 calendar days thereafter. Should a Bondholder wish to redeem a portion of the principal amount of a single Bond, the Bondholder must first exchange the Bond for the equivalent principal amount of smaller authorized denominations, which will include the amount to be redeemed. No exchanges will be permitted on any Redemption Date or during the 15 days immediately preceding. See Exchanges for more information. When a Bond is presented for redemption, the Redemption Agent should ensure that the entire Bond is intact. Redemption of book-based Bonds will be processed according to the investment dealer’s operating procedures. Bondholders, or their authorized representatives, must endorse the reverse side of the tear-off redemption portion of the Bond (the “Payment Instrument”). The right of recourse, in cases of fraud due to reported thefts or Bond alterations, is applicable, as with any other item endorsed and handled by financial institutions. The normal rule of “know your endorser” therefore applies. The Payment Instrument (the lower half of the Bond) should be detached and cleared on the Redemption Date by the Redemption Agent, using normal clearing arrangements. The remaining portion (the upper half of the Bond) should be retained by the Redemption Agent in accordance with the policy of each Redemption Agent. On any June 21 Redemption Date, the redemption amount will be the face value of the Bond only. Interest for the year will be paid separately by cheque or direct deposit by Computershare Trust Company of Canada directly to the Bondholder. The redemption amount must be entered by the Redemption Agent in the “Redemption Amount” space, on the face of the cheque portion of the Bond. That amount is paid to the Bondholder. On any December 21 Redemption Date, the redemption amount will be the face value of the Bond, plus six months interest. The Redemption Agent will calculate the interest payable, using the redemption table. The redemption amount must be entered in the space “Redemption Amount” on the face of the cheque portion of the Bond. That amount is paid to the Bondholder. On any Redemption Date, the Redemption Amount will be the face value of the Bond, plus accrued interest. 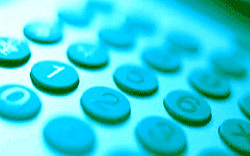 The Redemption Agent will calculate the interest payable, using the redemption table. The Redemption Amount must be entered in the space “Redemption Amount” on the face of the cheque portion of the Bond. That amount is paid to the Bondholder. There will be a 14 calendar day period following the Redemption Date during which Bondholders may redeem their Bonds. Bond interest will cease to accrue on the Redemption Date. Declaration of Transmission (available from Registrar) or similar instruction specifying the name and address of the payee. Interest will accrue on the Bonds and will be paid up to and including the date of redemption. If there is no Will, or a Will exists but is not being proved before the courts, alternate documentation may be accepted in appropriate circumstances. Application should be made to the Registrar for guidance. At maturity, the redemption procedures described in Section (A) must be followed. Each Type of Bond may be presented for redemption at any time on or after the Maturity Date. Bond Interest will cease to accrue on the Maturity Date for each Type of Bond. View all Bond Maturity Dates. At maturity, an Annual Interest Bond will be redeemed at its face value only, as all interest has been paid by the Registrar. A Compound Interest Bond will be redeemed at its face value plus accrued interest. The amount of the accrued interest should be calculated using the redemption tables.